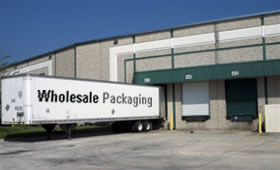 Founded in 1954, Wholesale Packaging Ltd is one of the largest packaging materials suppliers in the UK. We are constantly improving our facility and developing our customer base. One of the main reasons why Whole Packaging continues to grow is because we have good business relationships with our customers and are able to maintain high quality service levels. We also produce custom made cardboard cartons to your exact size and specification. Recycling is both ecological and economical important. Wholesale Packaging has over 60 years of experience and is one of the pioneers in supplying recycled boxes or recycled cartons. All second hand cartons, used cartons or obsolete cartons are being checked and sorted before any sales to make sure all boxes are in reusable condition. Our services are available to clients in London, Hertfordshire, Bedfordshire, Buckinghamshire, Milton Keynes, Harlow, Essex, Middlesex, Berkshire, Watford, Borehamwood and elsewhere. Give us a call on 0208 386 6960 to discuss your specific needs and become one of our satisfied customers.